Contact us regarding Cognitive Behavioural Therapy for Insomnia. There is an online program known as SHUTi, which you can work thru a few minutes a day from the comforts of your home. 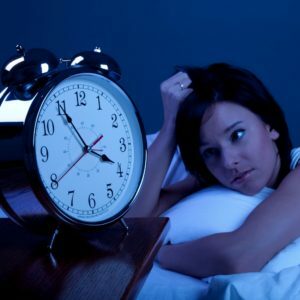 CBT does work for many and is a way of treating insomnia without the use of medications. This form of therapy addresses poor sleep habits, behaviours and thoughts which have a negative effect on the individual’s sleep quality and quantity. Sleep patterns are evaluated regularly and therapy focuses on sleep hygiene, relaxation techniques, sleep restriction and stimulus control. If you have tried Cognitive Behavioural Therapy for Insomnia previously and had no success, we would like to hear from you as well. It could be that your sleep disorder is in fact, caused by something else and the insomnia is simply a symptom. In other words, the insomnia is a secondary sleep disorder and not the primary issue. This is why, it is extremely important to have a sleep assessment. Thorough evaluation may uncover sleep abnormalities you did not know you have. Once your sleep disorder is diagnosed, then the appropriate treatment can be prescribed. It is then, that you will finally begin to get the proper rest that you have been missing for so long. Get to the root of your sleep troubles and watch your overall health improve.